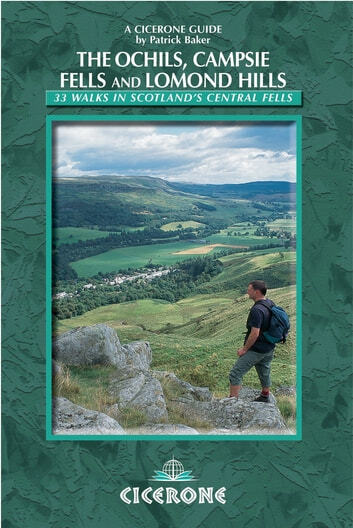 A guide to 33 day walks on the Ochils, Campsie Fells and Lomond Hills. The book offers a mixture of routes, including many popular peaks such as Ben Cleuch, Meikle Bin and West Lomond, as well as areas that are well off the beaten track. The walks have been chosen to reflect the diverse landscape that exists in these ranges, and affords as much importance to smaller peaks and lower-level walks as it does to larger hills and high traverses. Several of the walks include peaks known as 'Donalds' - hills in lowland Scotland over 2000ft that have a drop of 100ft on all sides. The majority of walks included are circular, and wherever possible, start from a suitable place to park a car. These are the most accessible hills in Scotland's Central Belt, despite their close proximity to Edinburgh, Glasgow and Perth, these three ranges remain a remarkably uncrowded wilderness area. Reprinted in 2014 with updates.